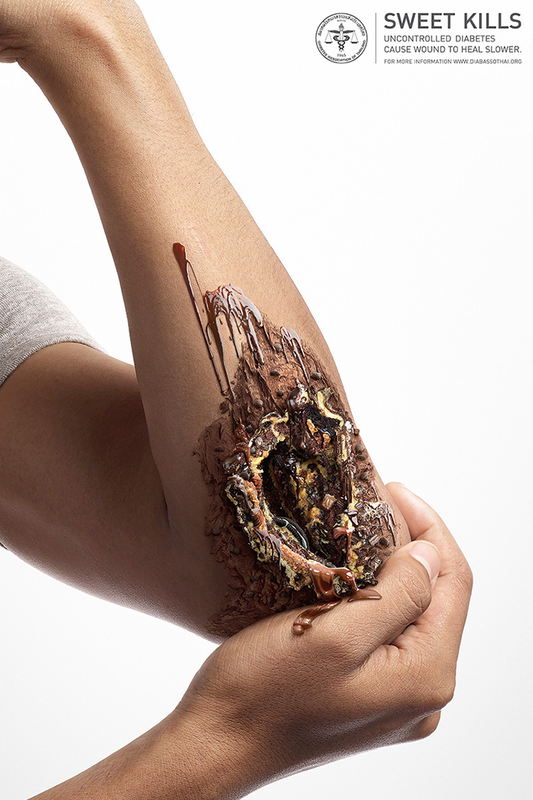 Thai designer Nattakong Jaengsem has created Sweet Kills, a deliciously disturbing diabetes awareness campaign that gives us a bizarre look at what too much sugar can do to our bodies. Using his Photosho skills, Nattakong edited images to make it look as if people are suffering from out of control infections made of chocolate, vanilla, and strawberry sweets. His entire collection is available to view on Behance.